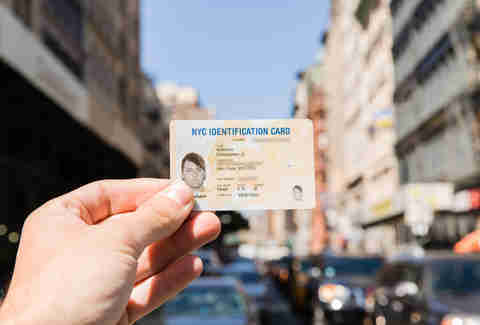 In case you didn’t watch nearly enough CNBC last year, Mayor de Blasio teamed up with the City Council to launch IDNYC: a municipal identification card program aimed to make it easier to be a New Yorker. Now the card referred to as a “gateway to city services" is the largest of its kind in the country -- and it actually IS a total game changer for your day-to-day life in the city, saving money on just about everything (plus, it’s completely free). Here’s exactly what you need to know about actually getting IDNYC, and what it’ll get you. 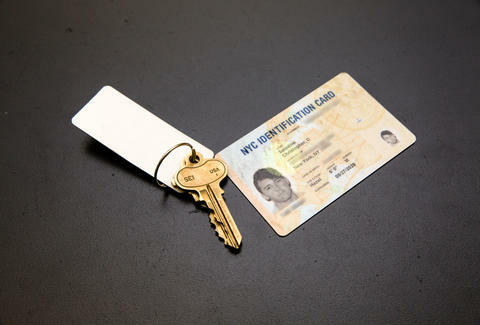 IDNYC is basically your one-stop-shop card for everything in NYC. In other words, it’s your government-issued ID card (yep, even the cops accept it), nets you access to city buildings (museums, libraries, schools), and can even score you discounts on everything from sporting events and concerts to gyms and groceries. Three documents proving your identity (passport, visas, etc.) At least one of these has to have a photo/birthdate. If you already have a New York state driver’s license, you’re golden; that will wipe all these out with one shot. Are you a former or current veteran? You require more paperwork, or at least one extra document proving this is indeed the case. If everything checks out, you get a fancy “Veteran” stamped underneath your name, and a pretty decent amount of exclusive perks, including free membership at Intrepid Museum, special access to job training/placement programs, and travel deals on most major airlines/Amtrak. Where to go: Now, this is where this entire process takes a turn for the dreaded DMV. Once you have all the proof you need to ensure you are in fact a New Yorker, you have to hit up one of the Enrollment Centers in person. They won’t do any of this via mail. Luckily, there are a pretty decent amount of them -- but make sure you make an appointment. Pro tip: you can fill out your application in advance by printing it out here, and you should do that to cut back on the wait time when you actually get there. What you do when you get there: Appointment or not, you’re probably going to wait a bit. When it is your turn, submit your proof of residency along with your application (which you’ve hopefully already filled out) and get your (probably terrible) photo taken. The card is totally free, but ONLY if you apply during the first year of the program -- meaning you officially have until December 31, 2016. Alright! You have the card. And it will be in full working order for five glorious years. Now, let’s get into why you did all this in the first place. It’s basically a “culture pass”: Arguably the best part about this card is that with it, you become eligible for a one-year free membership at 40 of NYC’s biggest cultural landmarks in all five boroughs. We’re talking the biggies, like The Met, Lincoln Center, Metropolitan Opera, Guggenheim, New York City Ballet, MOMA, Brooklyn Museum, Carnegie Hall, American Museum of Natural History, Queens Botanical Garden, and a hell of a lot more. Even after the one-year membership, the card ensures you’re eligible for discounted access to special events. It also acts as your new library card, meaning you can link it up your account at any of the city’s Public Library branches. You get discounts on fun stuff: Once you’re a card-carrying member of IDNYC, you can get all the Hamilton tickets you want! Kidding, that would be absurd. But you can score discounts to Broadway shows, local sporting events, theme parks, and even movie tickets -- which means you can stop trying to convince AMC you’re still a college student. You can save on prescription drugs: You heard us. IDNYC cardholders get the same benefits of BigAppleRx users. Just flash the BIN/GRP numbers on the back of your card to a pharmacist, and you’ll get up to 55% off your meds. You can stay in shape for cheaper: Your IDNYC card also gets you a 10% discount on memberships to the New York City Parks Department (this includes all their rec centers). And it’s way more fun to stay at the YMCA when it’s 20% off, which you will also receive. You can get Citi Bike for less: Citi Bike used to be $100 for the entire year, and it’s nearly double that now. So if you’ve been on the fence about it due to that increase, you’ll be happy to learn the card gets you 15% off your first year of membership. You can adopt a pet at a lower cost: While it can actually run you up to $100 to bring a furry friend home, IDNYC card holders can receive $25 off cats, dogs, and rabbits from all Animal Care & Control (ACC) centers in New York. And remember, dogs can do a lot for your health. You can spend less at the market: New Yorkers spend most of their money on food and booze, and while they have yet to add a booze discount to this (fingers crossed), you can get the first one 5% cheaper when shopping at the city’s Food Bazaar Supermarkets. And that just means more money for the second one! Liz Newman is a freelance writer for Thrillist, and despite the fact that she graduated college a decade ago, will probably still carry her student ID for Apple discounts. Follow her on Twitter and Instagram at @lizn813.